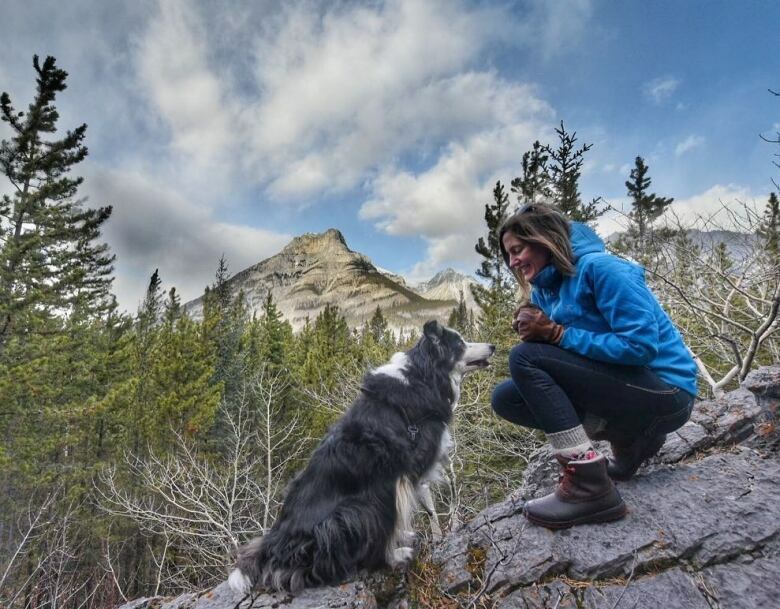 An Alberta photographer is taking shelter dogs on adventures to show off their personalities and help them find loving families that are a good fit. Rachael Rodgers, of Canmore, has worked with seven or eight local shelters over the past year to photograph around 80 dogs. She's tried to take out at least one dog every week and sometimes more. "My goal with doing this is to show their character so they have a better match to a home," she said. "Some dogs are old and they'd love to go for one walk a day, and some dogs you know have so much energy and they'd like to go out hiking with someone everyday. And I think it's so important to match that lifestyle." 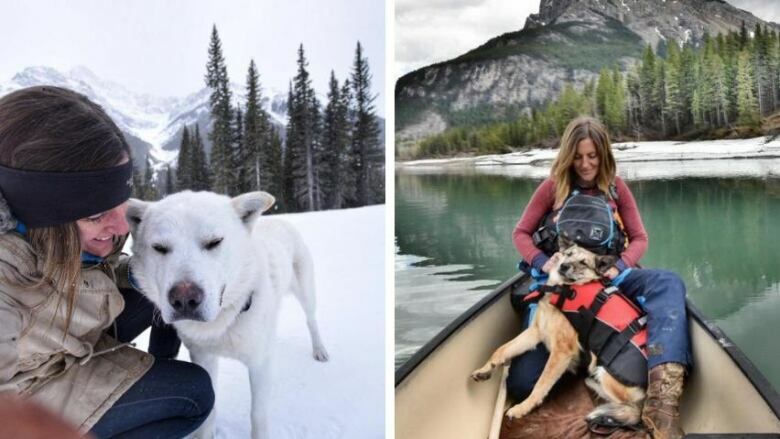 On a typical photography day, she wakes up at 5 a.m. and takes her dogs for a walk, before heading out to a Calgary or Cochrane shelter to pick up a dog — often an older one, or one that hasn't gotten much attention. 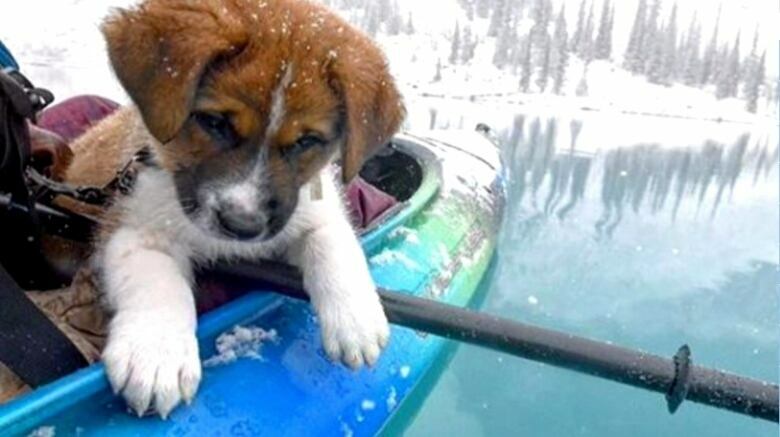 She'll then head out to a picturesque location, like Lake Louise or Yoho, depending on how long the dog can be out for, and spends the day taking pictures of them doing the things they would do with owners if they were adopted — like going on a hike, or for a picnic. "And then I bring them home tired and happy, and then I get to work editing my photos," she said. She posts stories on social media about each dog, detailing their personality, and will respond to comments to try and get the dog a home. "I'm just trying to focus on what this dog really likes and what makes the light in their eyes," she said. She said the feedback from shelters has been amazing, and it warms her heart every time she hears a dog that she's photographed has been adopted. "I'm so happy. Especially you get to know the dogs throughout the day and you see their true character come out through hiking and you know they don't belong in a kennel … they have so much to give, and you know it's just so relieving when somebody finds them," she said. You can see the shelter pups Rodgers has taken out on adventures on her Instagram page.